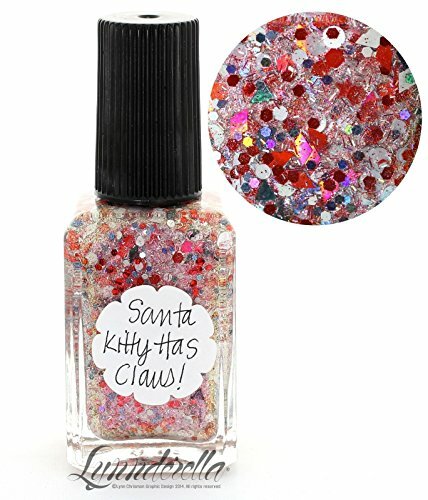 Santa Kitty Has Claus is made with assorted red, grey, white and black glitters. Accented with tiny pink-red and silver holographic whiskers. Clear base with strong warm gold-pink shimmer.